For nearly a decade, the primary focus of our lab has been to develop robust, open-source reagents and methods that enable targeted genome engineering across many different cell types and model organisms. Primarily, this effort has involved the engineering and optimization of zinc finger nucleases (ZFNs), TALE nucleases (TALENs), and CRISPR/Cas9 nucleases. Using these three platforms, we (and our collaborators) have created designer genetic mutations with high efficiencies in zebrafish, plants, or human somatic and pluripotent stem cells. These mutations result from repair of nuclease-induced double-stranded DNA breaks by normal cellular repair processes (non-homologous end-joining or homologous recombination). Ongoing projects in the lab are aimed at defining and improving the specificity of these platforms and optimizing the editing capabilities of these methods for eventual therapeutic applications. We are also continuing to explore the development of novel technologies that will enable high-throughput genome editing. Building off their success as nucleases, we have demonstrated that the utility of zinc fingers, TALEs, and CRISPR/Cas9 proteins can be extended so as to effect targeted changes in gene expression, a strategy we term "epigenome editing." In one strategy, we simply fuse the gene-activating VP64 or p65 domains to an engineered DNA binding domain targeted to an endogenous gene promoter to achieve gene activation. More recently, we have also shown that engineered TALEs can be used to direct histone modifications that can inactivate endogenous gene enhancers (work done with Bradley Bernstein's lab) and to direct demethylation of specific promoter CpGs that can lead to increases in endogenous gene expression. Notably, these studies provide important functional clues into the regulatory roles of epigenetic marks and cis-regulatory elements, and may enable more extensive studies functional analyses of such elements in the future. These capabilities will have important research applications for studying gene regulation and may also provide novel tools for altering the expression of disease-associated genes. Supriya K. Saha, John D. Gordan, Benjamin P. Kleinstiver, Phuong Vu, Mortada S. Najem, Jia-Chi Yeo, Lei Shi, Yasutaka Kato, Rebecca S. Levin,James T. Webber, Leah J. Damon, Regina K. Egan, Patricia Greninger, Ultan McDermott, Mathew J. Garnett, Roger L. Jenkins,Kimberly M. Rieger-Christ, Travis B. Sullivan, Aram F. Hezel, Andrew S. Liss,Yusuke Mizukami, Lipika Goyal, Cristina R. Ferrone, Andrew X. Zhu,J. Keith Joung, Kevan M. Shokat, Cyril H. Benes & Nabeel Bardeesy. Isocitrate Dehydrogenase Mutations Confer Dasatinib Hypersensitivity and SRC Dependence in Intrahepatic Cholangiocarcinoma. Cancer Discovery (2016) 6; 727. Shengdar Q Tsai & J Keith Joung. Defining and improving the genome-wide specificities of CRISPR–Cas9 nucleases. Nature Reviews Genetics (2016) 17(5):300-12. Benjamin P. Kleinstiver*, Vikram Pattanayak*, Michelle S. Prew, Shengdar Q. Tsai, Nhu T. Nguyen, Zongli Zheng & J Keith Joung. High-fidelity CRISPR–Cas9 nucleases with no detectable genome-wide off-target effects. Nature (2016) 529(7587)490-5. J. Keith Joung, Daniel F. Voytas & Joanne Kamens. Accelerating research through reagent repositories: the genome editing example. Genome Biology (2015) 16:225. Benjamin P Kleinstiver^, Michelle S Prew, Shengdar Q Tsai, Nhu T Nguyen, Ved V Topkar, Zongli Zheng & J Keith Joung^. Broadening the targeting range of Staphylococcus aureus CRISPR-Cas9 by modifying PAM recognition. Nature Biotechnology (2015) 33(12):1293-8. Nicolas Wyvekens, Shengdar Tsai, and J Keith Joung. Genome Editing in Human Cells Using CRISPR/Cas Nucleases. Curr Protoc Mol Biol (2015) 112:31.3.1-18. Sándor Spisák, Kate Lawrenson, Yanfang Fu, István Csabai, Rebecca T Cottman, Ji-Heui Seo, Christopher Haiman, Ying Han, Romina Lenci, Qiyuan Li, Viktória Tisza, Zoltán Szállási, Zachery T Herbert, Matthew Chabot, Mark Pomerantz, Norbert Solymosi, The GAME-ON/ELLIPSE Consortium, Simon A Gayther, J Keith Joung & Matthew L Freedman. CAUSEL: an epigenome- and genome-editing pipeline for establishing function of noncoding GWAS variants. Nature Medicine (2015) 21(11):1357-63. Basil P Hubbard, Ahmed H Badran, John A Zuris, John P Guilinger, Kevin M Davis, Liwei Chen, Shengdar Q Tsai, Jeffry D Sander, J Keith Joung & David R Liu. Continuous directed evolution of DNA-binding proteins to improve TALEN specificity. Nature Methods (2015) 12(10):939-42. J Keith Joung. Unwanted mutations: Standards needed for gene-editing errors. Nature (2015) 523(7559):158. Benjamin P. Kleinstiver, Michelle S. Prew, Shengdar Q. Tsai, Ved V. Topkar, Nhu T. Nguyen, Zongli Zheng, Andrew P. W. Gonzales, Zhuyun Li, Randall T. Peterson, Jing-Ruey Joanna Yeh, Martin J. Aryee & J Keith Joung. Engineered CRISPR-Cas9 nucleases with altered PAM specificities. Nature (2015) 523(7561):481-5. Nicolas Wyvekens, Ved V. Topkar, Cyd Khayter, J Keith Joung & Shengdar Q Tsai. Dimeric CRISPR RNA-Guided FokI-dCas9 Nucleases Directed by Truncated gRNAs for Highly Specific Genome Editing. Hum Gene Ther (2015) 26(7):425-31. Julia M. Rogers, Luis A. Barrera, Deepak Reyon, Jeffry D. Sander, Manolis Kellis, J Keith Joung & Martha L. Bulyk. Context influences on TALE–DNA binding revealed by quantitative profiling. Nature Communications (2015) 6:7440. Shamim H Rahman, Johannes Kuehle, Christian Reimann, Tafadzwa Mlambo, Jamal Alzubi, Morgan L Maeder, Heimo Riedel, Paul Fisch, Tobias Cantz, Cornelia Rudolph, Claudio Mussolino, J Keith Joung, Axel Schambach & Toni Cathomen. Rescue of DNA-PK Signaling and T-Cell Differentiation by Targeted Genome Editing in a prkdc Deficient iPSC Disease Model. PLoS Genetics (2015) 11(5):e1005239. Joshua C Black, Elnaz Atabakhsh, Jaegil Kim, Kelly M Biette, Capucine Van Rechem, Brendon Ladd, Paul d Burrowes, Carlos Donado, Hamid Mattoo, Benjamin P Kleinstiver, Bing Song, Grasiella Andriani, J Keith Joung, Othon Iliopoulos, Cristina Montagna, Shiv Pillai, Gad Getz & Johnathan R. Whetstine. Hypoxia drives transient site-specific copy gain and drug-resistant gene expression. Genes & Development (2015) 29(10):1018-31. Woong Y Hwang, Yanfang Fu, Deepak Reyon, Andrew PW Gonzales, J Keith Joung & Jing-Ruey Joanna Yeh. Targeted Mutagenesis in Zebrafish Using CRISPR RNA-Guided Nucleases. Methods in Molecular Biology (2015) 1311:317-34. Tsai, Shengdar Q., Nicolas Wyvekens, Cyd Khayter, Jennifer A. Foden, Vishal Thapar, Deepak Reyon, Mathew J. Goodwin, Martin J. Aryee, and J. Keith Joung. Dimeric CRISPR RNA-guided FokI nucleases for highly specific genome editing. Nature Biotechnology (2014). Sander, Jeffry D., and J. Keith Joung. CRISPR-Cas systems for editing, regulating and targeting genomes. Nature Biotechnology 32, no. 4 (2014): 347-355. Guilinger, John P., Vikram Pattanayak, Deepak Reyon, Shengdar Q. Tsai, Jeffry D. Sander, J. Keith Joung, and David R. Liu. Broad specificity profiling of TALENs results in engineered nucleases with improved DNA-cleavage specificity. Nature Methods 11, no. 4 (2014): 429-435. Fu, Y., Sander, J. D., Reyon, D., Cascio, V. M. & Joung, J. K. Improving CRISPR-Cas nuclease specificity using truncated guide RNAs. Nature Biotechnology. 32, 279–284 (2014). Maeder ML, Angstman JF, Richardson ME, Linder SJ, Cascio VM, Tsai SQ, Ho QH, Sander JD, Reyon D,Bernstein BE, Costello JF, Wilkinson MF, Joung JK. 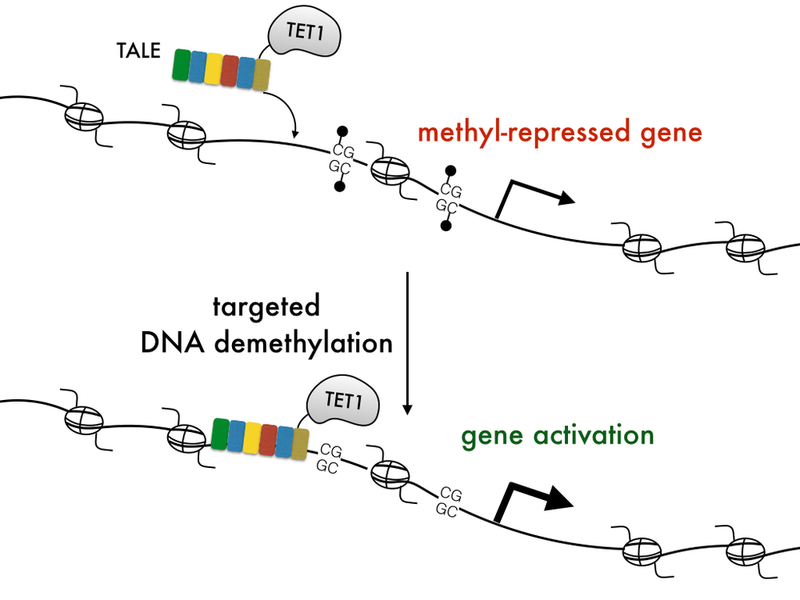 Targeted DNA Demethylation and Endogenous Gene Activation Using Programmable TALE-TET1 Fusions. Nat Biotechnol., 2013 Oct 9; doi: 10.1038/nbt2726. Qi Y, Li X, Zhang Y, Starker CG, Baltes NJ, Zhang F, Sander JD, Reyon D, Joung JK, Voytas DF.Targeted Deletion and Inversion of Tandemly Arrayed Genes in Arabidopsis thaliana Using Zinc Finger Nucleases. G3 (Bethesda) 2013 Oct 3; 3(10): 1707-15. Sander JD, Ramirez CL, Linder SJ, Pattanayak V, Shoresh N, Ku M, Foden JA, Reyon D, Bernstein BE,Liu DR, Joung JK. In silico abstraction of zinc finger nuclease cleavage profiles reveals an expanded landscape of off-target sites. Nucleic Acids Res. 2013 Oct 1; 41(19):e181. Maeder ML, Linder SJ, Cascio VM, Fu Y, Ho QH, Joung JK. CRISPR RNA-guided activation of endogenous human genes. Nat Methods. 2013 Oct; 10 (10): 977-9. Hwang WY, Fu Y, Reyon D, Maeder ML, Kaini P, Sander JD, Joung JK, Peterson RT, Yeh JR. Heritable and Precise Zebrafish Genome Editing Using a CRISPR-Cas System. PLoS One. 2013 Jul9;8(7):e68708. Reyon D, Maeder ML, Khayter C, Tsai SQ, Foley JE, Sander JD, Joung JK. Engineering Customized TALE Nucleases (TALENs) and TALE Transcription Factors by Fast Ligation-Based Automatable Solid-Phase High-Throughput (FLASH) Assembly. Curr Protoc Mol Biol. 2013 Jul;Chapter 12:Unit12.16. Li X, Burnight ER, Cooney AL, Malani N, Brady T, Sander JD, Staber J, Wheelan SJ, Joung JK, McCrayPB Jr, Bushman FD, Sinn PL, Craig NL. piggyBac transposase tools for genome engineering. Proc Natl Acad Sci USA. 2013 June 18; 110(25): E2279-87. Osborn MJ, Starker CG, McElroy AN, Webber BR, Riddle MJ, Xia L, Defeo AP, Gabriel R, Schmidt M, Von Kalle C, Carlson DF, Maeder ML, Joung JK, Wagner JE, Voytas DF, Blazar BR, Tolar J. TALEN-based Gene Correction for Epidermolysis Bullosa. Mol Ther. 2013 Jun;21(6):1151-9. Maeder ML, Linder SJ, Reyon D, Angstman JF, Fu Y, Sander JD, Joung JK. Robust, synergistic regulation of human gene expression using TALE activators. Nat Methods. 2013 Mar;10(3): 243-5. Tremblay JP, Xiao X, Aartsma-Rus A, Barbas C, Blau HM, Bogdanove AJ, Boycott K, Braun S,Breakefield XO, Bueren JA, Buschmann M, Byrne BJ, Calos M, Cathomen T, Chamberlain J, Chuah M,Cornetta K, Davies KE, Dickson JG, Duchateau P, Flotte TR, Gaudet D, Gersbach CA, Gilbert R, Glorioso J, Herzog RW, High KA, Huang W, Huard J, Joung JK, Liu D, Liu D, Lochmüller H, Lustig L, Martens J, Massie B, Mavilio F, Mendell JR, Nathwani A, Ponder K, Porteus M, Puymirat J, Samulski J, Takeda S, Thrasher A, Vandendriessche T, Wei Y, Wilson JM, Wilton SD, Wolfe JH, Gao G. Translating the Genomics Revolution: The Need for an International Gene Therapy Consortium for Monogenic Diseases. Mol Ther. 2013 Feb;21(2):266-268. Joung JK, Sander JD. TALENs: a widely applicable technology for targeted genome editing, Nat.Rev. Mol. Cell Biol., 2012, 14: 49-55. Hermann M, Maeder ML, Rector K, Ruiz J, Becher B, Bürki K, Khayter C, Aguzzi A, Joung JK, Buch T,Pelczar P. Evaluation of OPEN Zinc Finger Nucleases for Direct Gene Targeting of the ROSA26 Locus in Mouse Embryos. PLoS One. 2012; 7(9): e41796. Cade L, Reyon D, Hwang WY, Tsai SQ, Patel S, Khayter C, Joung JK, Sander JD, Peterson RT, Yeh JR.Highly efficient generation of heritable zebrafish gene mutations using homo- and heterodimeric TALENs. Nucleic Acids Res. 2012; 40(16):8001-10. Moore FE, Reyon D, Sander JD, Martinez SA, Blackburn JS, Khayter C, Ramirez CL, Joung JK, Langenau DM. Improved somatic mutagenesis in zebrafish using transcription activator-like effector nucleases (TALENs). PLoS One. 2012;7(5):e37877. Ramirez CL, Certo MT, Mussolino C, Goodwin MJ, Cradick TJ, McCaffrey AP, Cathomen T, ScharenbergAM, Joung JK. Engineered zinc finger nickases induce homology-directed repair with reduced mutagenic effects. Nucleic Acids Res. 2012 Jul;40(12):5560-8. Sander JD, Maeder ML, Joung JK. Engineering designer nucleases with customized cleavage specificities. Curr Protoc Mol Biol. 2011 Oct;Chapter 12:Unit12.13. Sander JD, Yeh JR, Peterson RT, Joung JK. Engineering zinc finger nucleases for targeted mutagenesis of zebrafish. Methods Cell Biol. 2011;104:51-8. Pattanayak V, Ramirez CL, Joung JK, Liu DR. Revealing off-target cleavage specificities of zinc-finger nucleases by in vitro selection. Nat Methods. 2011 Aug 7;8(9):765-70. Curtin SJ, Zhang F, Sander JD, Haun WJ, Starker C, Baltes NJ, Reyon D, Dahlborg EJ, Goodwin MJ,Coffman AP, Dobbs D, Joung JK, Voytas DF, Stupar RM. Targeted mutagenesis of duplicated genes in soybean with zinc-finger nucleases breakthrough technologies. Plant Physiol. 2011Jun;156(2):466-73. Reyon D, Kirkpatrick JR, Sander JD, Zhang F, Voytas DF, Joung JK, Dobbs D, Coffman CR.ZFNGenome: a comprehensive resource for locating zinc finger nuclease target sites in model organisms. BMC Genomics. 2011 Jan 28;12:83. Sander JD, Dahlborg EJ, Goodwin MJ, Cade L, Zhang F, Cifuentes D, Curtin SJ, Blackburn JS,Thibodeau-Beganny S, Qi Y, Pierick CJ, Hoffman E, Maeder ML, Khayter C, Reyon D, Dobbs D,Langenau DM, Stupar RM, Giraldez AJ, Voytas DF, Peterson RT, Yeh JR, Joung JK. Selection-free zinc-finger-nuclease engineering by context-dependent assembly (CoDA). Nat Methods. 2010 Dec 12; doi: 10.1038/nmeth.1542. Sander JD, Reyon D, Maeder ML, Foley JE, Thibodeau-Beganny S, Li X, Regan MR, Dahlborg E, Goodwin MJ, Fu F, Voytas DF, Joung JK, Dobbs D. Predicting success of oligomerized pool engineering (OPEN) for zinc finger target site sequences. BMC Bioinformatics. 2010; 11: 543. Söllü C, Pars K, Cornu TI, Thibodeau-Beganny S, Maeder ML, Joung JK, Heilbronn R, Cathomen T.Autonomous zinc-finger nuclease pairs for targeted chromosomal deletion. Nucleic Acids Res.2010 Aug 16. Epub ahead of print. Sander JD, Maeder ML, Reyon D, Voytas DF, Joung JK, Dobbs D. ZiFiT (Zinc Finger Targeter): an updated zinc finger engineering tool. Nucleic Acids Res. 2010 Jul 1;38 Suppl:W462-8. Zhang F, Maeder ML, Unger-Wallace E, Hoshaw JP, Reyon D, Christian M, Li X, Pierick CJ, Dobbs D,Peterson T, Joung JK, Voytas DF. High frequency targeted mutagenesis in Arabidopsis thaliana using zinc finger nucleases. Proc Natl Acad Sci U S A. 2010 Jun 29;107(26):12028-33. Thibodeau-Beganny S, Maeder ML, Joung JK. Engineering single Cys2His2 zinc finger domains using a bacterial cell-based two-hybrid selection system. Methods Mol Biol. 2010;649:31-50.
zinc-finger nucleases, Nat Methods, 2010, 7: 91-92. Voytas DF, Joung JK. Plant science. DNA binding made easy, Science, 2009, 326: 1491-1492.
zebrafish using customized zinc-finger nucleases, Nat Protocols, 2009, 4: 1855-1867. Maeder ML, Thibodeau-Beganny S, Sander JD, Voytas DF, Joung JK. Oligomerized Pool ENgineering (OPEN): An "Open-Source" Protocol for Making Customized Zinc Finger Arrays, Nat Protocols, 2009, 4: 1471-1501. I-H, Daley GQ, Porteus MH, Joung JK, Cheng L. Gene targeting of a disease-related gene in human induced pluripotent stem and embryonic stem cells, Cell Stem Cell, 2009, 5: 97-110. Foley JE, Yeh J-R Y, Maeder ML, Reyon D, Sander JD, Peterson RT, Joung JK. Rapid Mutation of Endogenous Zebrafish Genes Using Zinc Finger Nucleases Made by Oligomerized Pool ENgineering (OPEN), PLoS ONE, 2009, 4: e4348. Sander JD, Zaback P, Joung JK, Voytas DF, Dobbs D. An affinity-based scoring scheme for predicting DNA-binding activities of modularly assembled zinc-finger proteins, Nucleic AcidsRes., 2009, 37: 506-515. Fu F, Sander JD, Maeder ML, Thibodeau-Beganny S, Joung JK, Dobbs D, Miller L, Voytas DF. Zinc Finger Database (ZiFDB): a repository for information on C2H2 zinc fingers and engineered zinc finger arrays, Nucleic Acids Res., 2009, 35: D279-D283. Maeder ML, Thibodeau-Beganny S, Osiak A, Wright DA, Anthony RM, Eichtinger M, Jiang T, Foley JE, Winfrey RJ, Townsend JA, Unger-Wallace E, Sander JD, Muller-Lerch F, Fu F, Pearlberg J, Gobel C, Dassie J, Pruett-Miller SM, Porteus MH, Sgroi DC, Iafrate AJ, Dobbs D, McCray PB, Cathomen T, Voytas DF, Joung JK. Rapid "open-source" engineering of customized zinc-finger nucleases for highly efficient gene modification, Mol Cell, 2008, 31: 294-301. Ramirez CL, Foley JE, Wright DA, Muller-Lerch F, Rahman SH, Cornu TI, Winfrey RJ, Sander JD, Fu F, Townsend JA, Cathomen T, Voytas DF, Joung JK. Unexpected failure rates for modular assembly of engineered zinc fingers, Nat Methods, 2008, 5: 374-375. Pruett-Miller SM, Connelly JP, Maeder ML, Joung JK, Porteus MH. Comparison of Zinc Finger Nucleases for Use In Gene Targeting in Mammalian Cells, Mol Ther., 2008, 16: 707-717. Cornu TI, Thibodeau-Beganny S, Guhl E, Alwin S, Eichtinger M, Joung JK, Cathomen T. DNA-binding specificity is a major determinant of the activity and toxicity of zinc-finger nucleases, Mol Ther., 2008, 16: 352-8. Meng X, Thibodeau-Beganny S, Jiang T, Joung JK, Wolfe SA. Profiling the DNA-binding specificities of engineered Cys2His2 zinc finger domains using a rapid cell-based method,Nucleic Acids Res., 2007, 35: e81. Sander JD, Zaback P, Joung JK, Voytas DF, Dobbs D. Zinc Finger Targeter (ZiFiT): An Engineered Zinc Finger/Target Site Design Tool, Nucleic Acids Res., 2007, 35: W599-W605. Wright DA, Thibodeau-Beganny S, Sander JD, Winfrey RJ, Hirsh AS, Eichtinger M, Fu F, Porteus MH, Dobbs D, Voytas DF, Joung JK. Standardized reagents and protocols for engineering zinc finger nucleases by modular assembly, Nat Protocols, 2006, 1: 1637-1652.
bacterial-based interaction trap systems, Biotechniques, 2006, 40: 179-184. Vallet-Galy I, Donovan KE, Fang R, Joung JK, Dove SL. Repression of phase-variable cupA gene expression by H-NS-like proteins in Pseudomonas aeruginosa, Proc. Natl. Acad. Sci. USA, 2005, 102: 11082-11087. Serebriiskii IG, Fang R, Latypova E, Hopkins R, Vinson C, Joung JK, Golemis EA. A combined yeast/bacterial two-hybrid system: development and evaluation, Mol Cell Proteomics 2005, 4: 819-826. Zinc-Finger Binding in the Major Groove of DNA by Minor-Groove Binding Ligands, Biochemistry2004; 43: 3880-3890. Thibodeau SA, Fang R, Joung JK. An optimized high-throughput b-galactosidase assay for bacterial cell-based reporter systems, Biotechniques 2004; 36: 410-415. Hurt, JA, Thibodeau SA, Hirsh AS, Pabo CO, Joung JK. Highly specific zinc finger proteins obtained by directed domain shuffling and cell-based selection, Proc. Natl. Acad. Sci. USA 2003; 100: 12271-12276.